The Stanford swing arm floor lamp in polished nickel, with beautifully curved arm and simple clean detailing, surrounded by a beige pleated fabric shade. 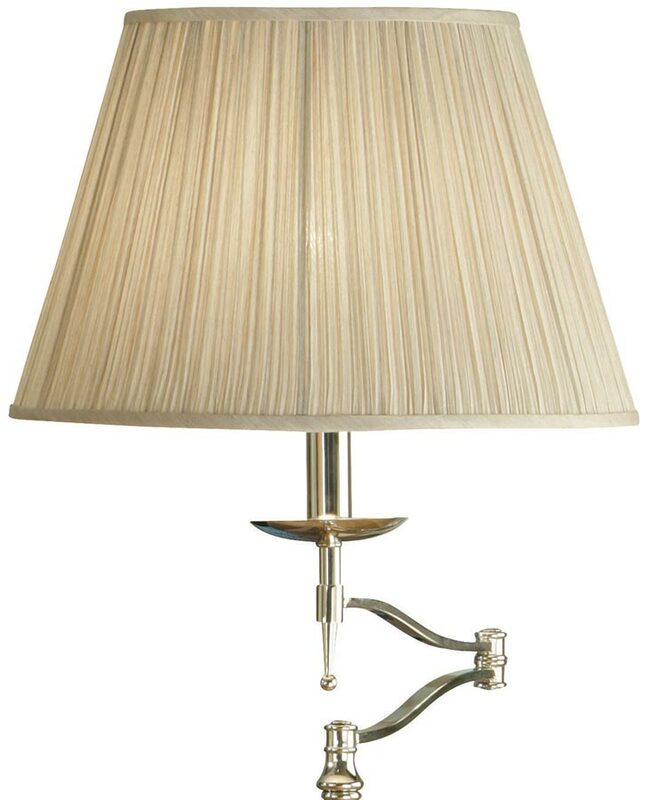 A magnificent, highly polished nickel swing arm floor lamp, with circular base, slender stem and elegant hinged section. A curved arm lamp holder features a candle drip, candle tube and lower drop finial, topped with a 17-inch pleated beige faux silk lamp shade.